The Government of Canada says it has approved a device that is able to detect whether someone has consumed marijuana or cocaine before driving. 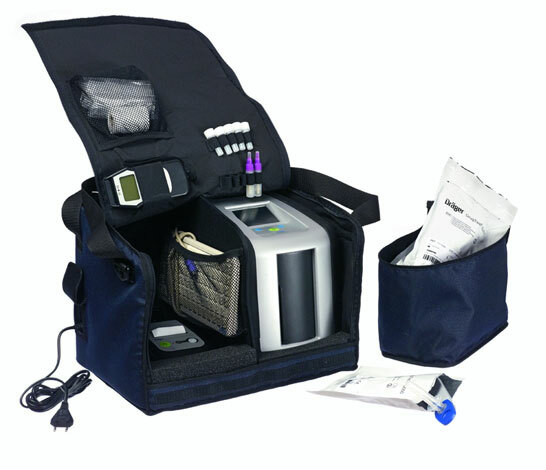 The Drager DrugTest collection kit and reader is already in use in the United States. Unlike the roadside screening device for alcohol, which uses a breath sample, the Drager device uses a saliva swab. The swab is then inserted into a machine that indicates whether a person is positive or negative for one of seven substances. The Canadian government only approved the device for two. The device was evaluated by the Canadian Society of Forensic Science according to a set of standards and evaluation procedures. The new drug screening equipment, which will now be made available for use, is an additional tool for law enforcement. It is up to individual detachments to determine whether they will invest in the device or not. The RCMP will develop training for law enforcement on the screening equipment in the coming weeks. According to Monday’s press release, the manufacturer will be able to meet demand within 4-6 weeks. The federal government is providing $81 million to provinces and territories to support the purchase of approved screening devices, as well as training. The government will continue to evaluate other oral fluid drug screening equipment for use by law enforcement. “As a former police officer I can attest to the carnage caused by impaired drivers,” Minister of Border Security and Organized Crime Reduction Bill Blair said in a press release. While both the government and Drager, the company manufacturing the device, are confident about its effectiveness, others have raised concern. According to CTV, Canadian defence lawyers are predicting constitutional challenges because of concerns in other jurisdictions. A study published in the Journal of Analytical Toxicology examined the use of the device in Norway. CTV reported that the device did not absolutely identify driving under the influence offenders due to fairly large proportions of false positive or false negative results compared to the blood concentration of the drug. There have also been questions about the device’s ability to operate in cold weather. Rob Clark, managing director of Drager Canada, defended the device, telling CTV the concerns were “red herrings.” He predicted the device will be more effective in Canada because it is testing for higher levels of THC and will also only be testing for cocaine and THC. “We have these devices in over 40 jurisdictions around the world, including Finland, Russia at the cold end of the spectrum, and then at the high end of the spectrum, in Saudi Arabia and Australia and so on, so we know that this technology works,” Clark reportedly said. According to Global, a Vancouver lawyer said the device is too expensive and cumbersome to work, especially because it cannot be used as proof in court alone. The device results can only be used to support taking a blood sample or continuing the investigation through other means.